The Modesty Walk: Social Media vs The Creator – Jesus Wins, by Far! Hey, Social Media, Did you know I am fearfully and wonderfully made by God? I absolutely hate how the enemy has empowered social media to make women feel ugly! I want to tell you right now, you are beautiful. Most of those pictures you see in magazines, TV, internet, are not a real images, they are fixed up images of people who have no moral standards whatsoever. And even if they are true images, they are a result of the influence of an industry that makes you do anything in your power to “look the part” or else you won’t make it in that industry. It’s an industry full of vanity, lustfulness, and selfishness (all things which don’t please God). They are being used by the enemy just to complete his purpose of making the younger generation of girls, lose their moral standards, lose self-esteem and in the end lose their faith in God because HE didn’t make them “beautiful enough”. I’m sick and tired of hearing stories of girls who go through strenuous exercise routines, just to get “model skinny” there’s even a movement a friend showed me on Pinterest that encourages you to be skinny and not for health reasons. There are so many girls out there with anorexia and bulimia stories, it’s unbelievable. Don’t you get it? That’s just the enemies goal. If he deals with the younger generation, than what is of the generations to come? 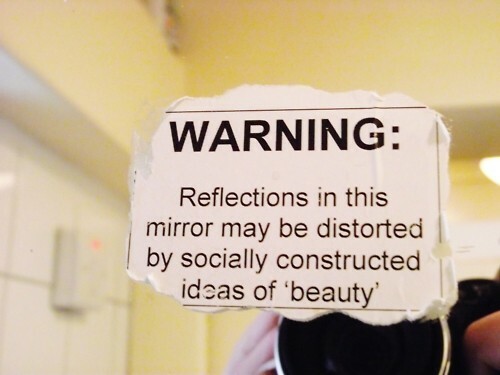 Don’t be fooled ladies, what social media says is true beauty is not even real. If reading these fashion magazines makes you feel upset about yourself, maybe that’s a sign for you to not read it! For one, when I was in my teens, reading those fashion magazines was “in” so I’d pick up a copy from friends, here and then. It’s so amazing how the enemy can enwrap you into longing to be something like the magazines. Wow. I would feel like I would never be that pretty, I could never wear that clothes and look good. Because the images they present you are so fake but yet you feel like that’s how they really look and that’s what beauty is, and if you don’t look like that, you will never find a decent partner! But thank God that the Lord took me away from that mentality and showed me what truly a beautiful women is. When I see women dress modestly and I get to know them and I can truly see the love of God in their heart. It’s like this beauty you can’t explain. It’s so beautiful to me. It’s like they have this glow to them. A certain Glory. : ) You overcome any physical beauty and see something that is so pure and lovely. Only the grace of God. And I’ve heard comments from non-believers (men and women) comment on how beautiful apostolic women are and that there’s a certain attraction to them! It’s the glory of God, I tell you! Reflected in who we are, because we are pleasing the most high in every aspect of our lives. So, stop thinking you need to be like the next cover girl etc. You don’t. Work with the modest clothing you got and be creative, check out some hairstyling tips on YouTube, check that your soul is in tune with the holy spirit and you will be noticed and distinguished as a child of the King. Trust me! You don’t need to do much to be beautiful, you are beautiful, as the child of the Most high! You don’t need to plaster your face with makeup to be beautiful, In the end that would not even really be you! Don’t hide the beautiful face God has given to you. Let Christ be seen in you. Not this fake truth the enemy tries to portray. And WARNING this might not be the last article I write on this topic, sometimes we all need a reminder. Found this on Pinterest. Felt it was appropriate for this article. Reflect your life on the Word and you will see true beauty! Very good! Gave me a boost of self confidence! Thanks.